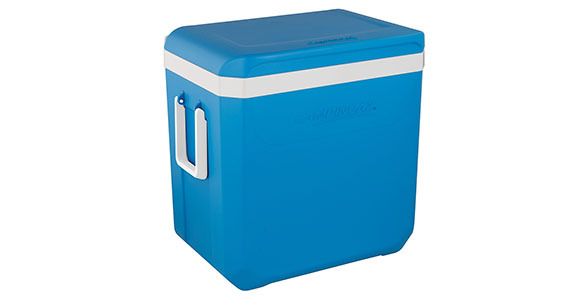 Sporting a new and modern style from Campingaz, the Icetime® Plus 42L cooler is perfect for a day-long picnic or a trip to the beach. With a tough outer shell and packed with premium PU insulation, this cooler will keep your contents fresh all day long! The convenient bail handle design make transportation a breeze no matter how much content you put in your Icetime® Plus 42L cooler. Made in Italy.